Travel Service a.s. the largest Czech Republic's air carrier is a privately owned dynamic company operating regular flights under unique brand SmartWings as well as charter flight serials within Europe, Middle East, Africa, Asia and America. GC Air have the great honour to represent cargo belly capacity of Travel Service and all it's affiliates and subsidiaries in their entire operational network. Since 21MAY 2013 GC Air have been creating on behalf of Travel Service Airlines the cargo hub and spoke network system with it's main centre at Prague airport and sub hubs in Bratislava, Budapest, Zurich and Warsaw connecting not only belly capacity of Travel Service and SmartWings but also other airline partners and regular Road Feeder Service. Air Europa is the airline of Globalia, the largest Spanish tourism conglomerate with an annual of 4,000 million euros revenue. Founded in 1989, it has persistently grown to become the reference airline for flights between Europe, America and Caribbean. Air Europa's fleet is one of the youngest in the world, with an average age aircraft of 4 years. It has a fleet of 54 aircraft comprising twelve Airbus 330-200/300, ten Boeing 787 Dreamliner; twenty one Boeing 737-800 and eleven Embraer 195. Their network of destinations is organised around it's hub at Madrid-Barajas with bases at Barcelona, Palma de Mallorca, Gran Canaria, Tenerife and Malaga. Air Europa offers nearly 200 flights every day and serves over 80 destinations in almost 30 countries. Recently formed Air Europa Cargo unit with the selection of a professional and experienced network of cargo terminals, handling and sales agents focus on it's main objective to operate a freight service in the cargo holds of the Air Europa aircraft, thus generating new business as well as new opportunities through its extensive network. Oman Air is national carrier of Sultanate of Oman with their main hub in Muscat International airport. WIthin their quarter of century history of operations Oman Air offer constantly increasing cargo capacity both widebody lower deck and narrow body to various destinations in Middle East, Africa, India, Pakistan and South East Asia. The fleet consist among others also multiplied unit sof newest Boeing B787 dreamliner and Airbus A330 family aircraft. By 2018, Oman Air's total fleet size is expected to be around 57 aircraft, rising to 70 aircraft by 2020. Oman Air Cargo is considered as smart cargo carrier operating in quick Gulf hub both aircraft and RFS focusing on quality and reliability of handling of both general and variol categories of special handling requiring cargo. GC Air will serve Central European customers from Czech Republic. Pegasus Airlines are the ambitious and well established private air carrier from Turkey with constantly developing network in domestic Turkish market, Middle East, Europe and Central Asia. They serve capacity from their central hub at Istanbul – Sabiha Gokcen airport. Pegasus Cargo have been operating Prague by direct flights since June 2014 and immediately started to be popular among customers thanks to their fast reliable transit service via Istanbul hub and approach to provide smart solutions. The fleet of currently 77 modern Boeings B737 and A320 increases every year by several units. Ural Airlines is a very dynamic airline hailing from the Russian Federation with it's main hub in Yekaterinburg, country's 4th largest city and so called a gate between Europe and Asia. They fly direct flights between Prague and Yekaterinburg with Airbus 320 with connecting flights to various cargo destinations such as Dushanbe, Nizhnyj Novgorod, Baku, Tbilisi, Khujand, Tashkent, Namangan as well as Beijing and Harbin in China. Belavia, Belorussian national flag carrier is dynamically developing airline with great potential of popular destinations in Eastern Europe, Central Asia and Middle East. The company has modern fleet of western type aircraft and attractive schedule from several European origins with hub in Minsk airport. We serve our Central European customers from Prague Airport. Jet Airways are the premier India's international network carrier operating 66 destinations worldwide including domestic India network, South Asia and Canada. The Jet Airways Group currently operates a fleet of 114 aircraft, comprising Boeing B777 and B737, Airbus A330 and ATR 72- 500/600s. We received the sales oportunity thanks to our GSA partnership with FlyUs. Iran Air is a flag airline carrier of the Islamic Republic of Iran serving 59 destinations over Asia and Europe. Shipments from Czech Republic we tender via Vienna airport from which Iran Air flies to their main hub Teheran, equipped with wide-body aircrafts Airbus 310. 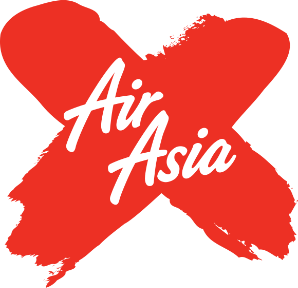 One of the most progressive asian carriers – Air Asia X from Malaysia. Thank to it's extensive fleet, this airline is able to serve wide range of destinations in Asia and several interesting points in Australia. In the recent period Air Asia X received several public rewards for it's great services. Among other they have been rewarded as Best lowcost cargo carrier in Asian region in 2011. FedEx, the largest all cargo carrier of the World serving with their widebody freighters hundreds of destinations in Americas, Middle East and Asia. GC Air got a great honour to sell the economy General Air Freight product serving „Airport to Airport“ on available regular freighter capacity, but also the International Priority Freight product and International Priority ECO Freight products for your larger but time definite shipments on "Airport to Door" basis.